Throughout the history of social thought, there has been a constant battle over the true nature of society, and the best way to understand and explain it. This volume covers the development of methodological individualism, including the individualist theory of society from Greek antiquity to modern social science. 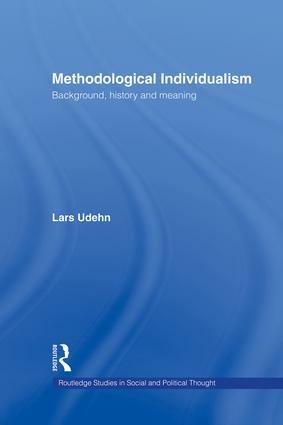 It is a comprehensive and systematic treatment of methodological individualism in all its manifestations.